Kim is Tri-County Therapy’s Lead Physical Therapist. She received both her Bachelor’s of Health Science and Doctorate in Physical Therapy from Quinnipiac University in Connecticut and is licensed in the state of South Carolina. Her passion for working with children began early in life and she continued to pursue pediatrics as her main focus, including providing a dance class to children with special needs during graduate school. 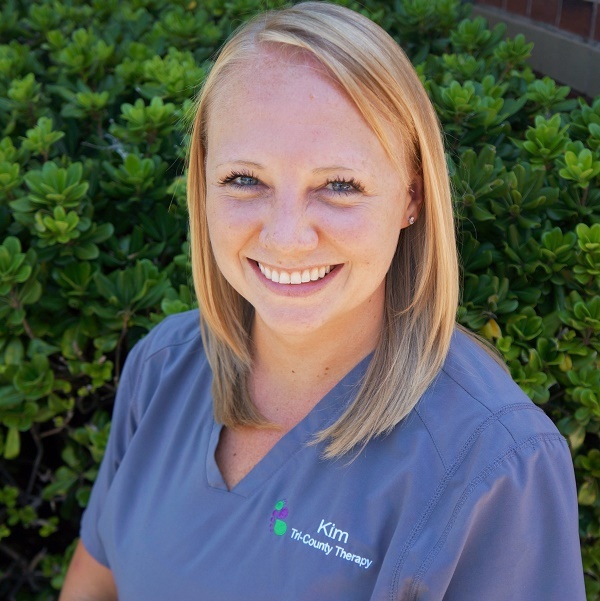 Kim has experience working in pediatrics in the outpatient, home, clinic, aquatic, and school based settings. She enjoys working with children of all ages, with a special interest in the birth to three and neurological populations. She also has experience in outpatient orthopedics with active duty military, veterans, and their dependents. Kim enjoys working with families and developing a relationship to encourage the best possible potential for each child. She has taken a variety of courses including MNRI® (Masgutova Neurosensorimotor Reflex Integration- MNRI® Method) for Dynamic and Postural Reflex Pattern Integration, NDT/MFR for Children with Neurological Disabilities, Torticollis and Plagiocephaly, and Therapeutic Aquatics. In her spare time, Kim enjoys spending time with her dogs, traveling, going to the beach, and enjoying the wonderful things Charleston has to offer.